At age 77 my father decided that it was time to get into blacksmithing. As always he did his homework, got the right books, made a couple of forges (one for me, one for him) and was ready to go. The problem was that he couldn’t find any coal in small quantities where he lived. He called me to discuss his dilemma and I told him that I’d find and acquire the coal for both of us. Using the Internet, I was able to come up with a source for the much-needed black gold (in 80 lb. bags) that we now needed. It turned about to be about 300 miles away in Bristol, Tennessee, so a road trip was put into motion. 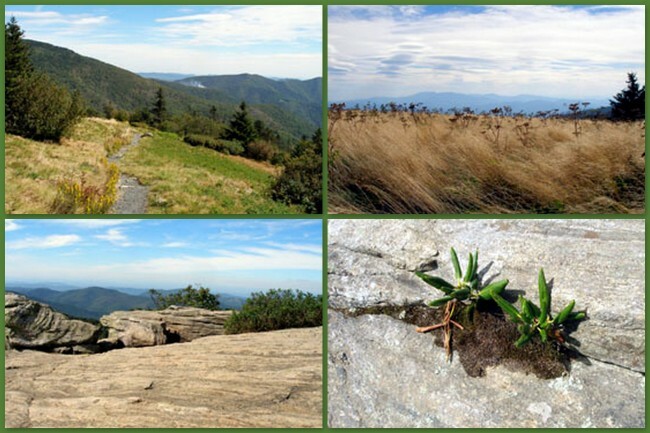 After getting there and buying the coal, my wife and I had a couple of days to kill so we decided to take at least one hike while in the Blue Ridge Mountains. Checking one her ever-popular travel guides she came across Roan Mountain, right on the North Carolina border. This turned out to be Blue Gold for us, one of the most pleasurable Eastern hikes I’ve ever done. The only down side to this is that we began somewhat late in the day and as such couldn’t do everything we wanted to. We started at the Visitor Center and got a good map as well as outstanding information from the staff. As is usually the case, I had forgotten my one of my growing collection of hiking sticks but was able to buy a very nice, hickory one there for only $10.00, a great deal! After a short drive up the mountain we found ourselves at the Carver’s Gap trailhead 5,512 feet above sea level. There were several cars in the parking lot, but on our hike we ran into only a few people along the way. The hike itself was awesome. We had a nice breeze throughout the afternoon, fantastic vistas (comparable to some of my Western hikes) and the trail was in great condition. There were moderate ups and downs along the way, but nothing too difficult. Visible from the trail were many nice features such as Round Bald, Jane Bald and Engine Gap. While we were there we also saw smoke from a fairly large fire off in the distance. Because we had to cut our visit short we’ve decided that we must return to this area for more hikes. It’s only a few hours away, offers great attractions, amazing scenery and world-class trails. We’re already planning another trip there. 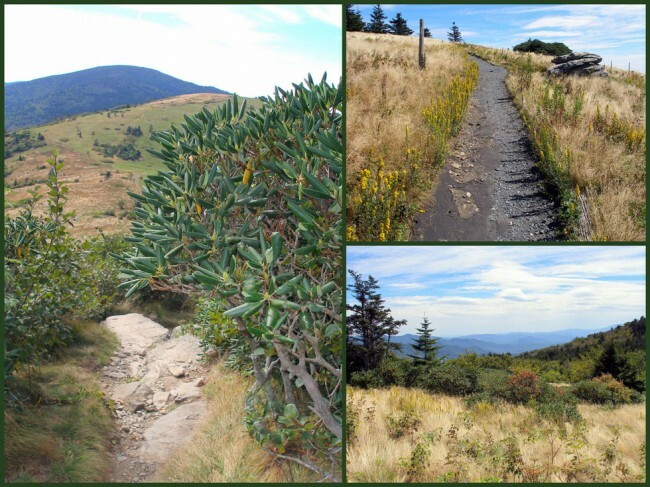 FYI, the Appalachian Trail traverses over the top of Roan Mountain. 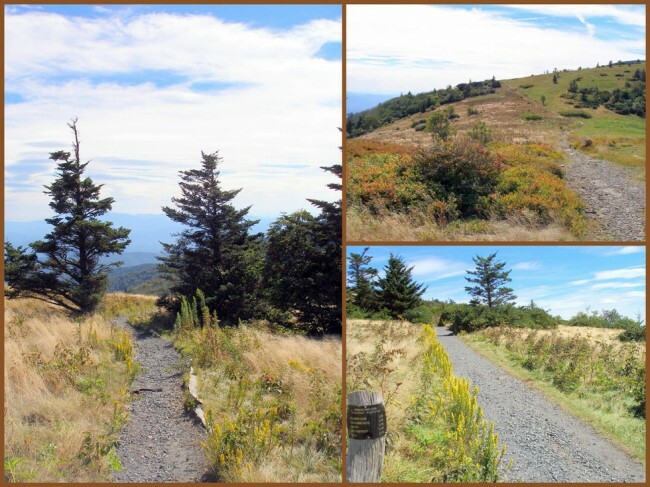 The state park (Roan Mountain State Park) has two campgrounds and twenty furnished rental cabins available. You’ll find 16.2 miles of trails to enjoy, and in the winter you can go cross-country skiing, with lessons and equipment rental available. Last modified on: June 15th 2013.